A few weeks ago, I shared my new-found love for green smoothies, and several of you asked for my recipe. Well, today is the day! See?! It’s a no-brainer combination for me since I’m not a morning person, and this allows me to mindlessly go to the fridge and get all the ingredients. I know several people also add some almond milk or protein powder to their smoothies for a creamier texture, but I prefer water so it is more of a true fruit smoothie and it ensures I’m getting two cups of water right away in the morning. 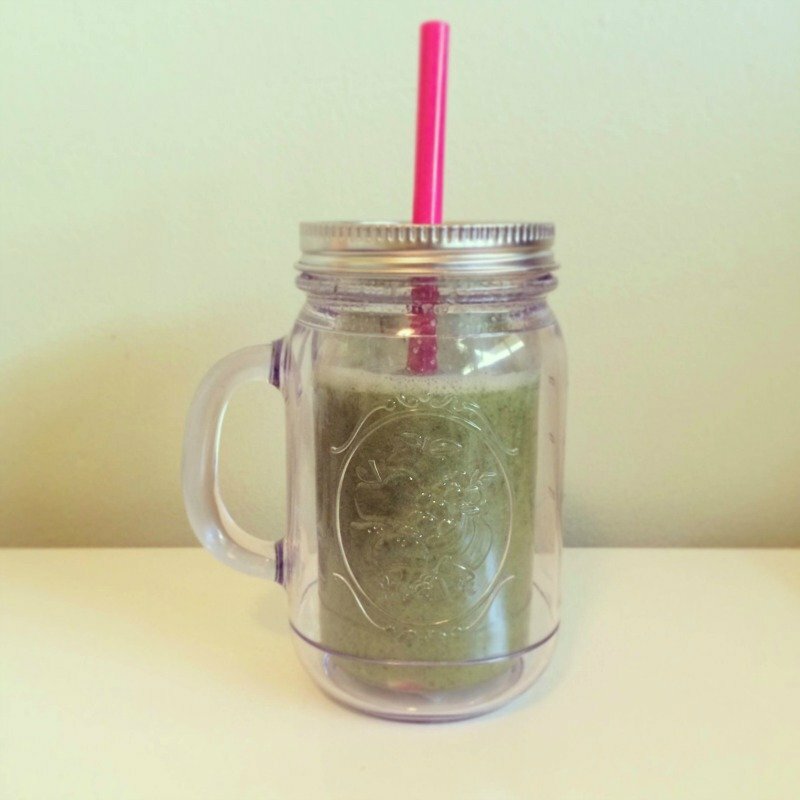 If you try out a green smoothie, be sure to share a picture with me on Instagram! I’d love to see how they turn out and hear of any new delicious pairings you all come up with. I know, except Dad wants to eat it like ice cream! Exactly! And, it keeps the calorie count down. Thanks – good ol' Target. I'm sure there will be! Absolutely! It just gives it more of a fruit taste, rather than it being so creamy. Right?! I like to keep it simple. Ha, this made me laugh! I used to be intimidated by the blender too, but now it's a brainless activity when I make these smoothies – probably because I don't have to chop up ice or anything. I've definitely used too much spinach before, and it can affect the taste of the smoothie. I just use an Oster brand blender – nothing fancy, but it gets the job done! I love your pink straw! Which blender do you use? I'm so excited for this!!! 🙂 I want to try it asap. It will be my first green smoothie ever! I will make sure to! Wow this sounds so easy! Going to have to try it! YUM!! I drank something very similar today 🙂 I used half almond milk and half water and I added chia and flax. I love spinach, berries and banana! I HATE using a blender. I know, that is so weird but I just hate them so every green smoothie I have ever made has turned out bad. I should invest in a better one. I need to try this! The ones with like 8 ingredients overwhelm me.. who has time for that in the morning?! I've never heard of using water, but I'll have to try this out! Great idea! Love that it's so easy! My husband just got a juicer for his birthday so I have a feeling I have a lot of this green stuff in my future! Love how easy this is!! And that cup is super cute! You got your Dad and I hooked on these, too! I love that you do it with water and not any sort of milk – much easier for me! !